Learn from three curated panels around the pillars of wellness - movement, food, and rest. Gain knowledge from the most highly regarded experts and practitioners and have the unprecedented opportunity to ask individual questions about information that is important to you. Practice settling your mind into the knowledge you are gaining with a morning yoga session sequenced by author and yoga teacher Karen Fabian, RYT to specifically engage your brain and your body. Movement has long been known to enhance learning and allow for openness to new ideas. Enjoy the freshest, most nutritious breakfast by Tru Provisions and lunch by Dig Inn gleaned from local vendors, area farmers, and conscientious producers. 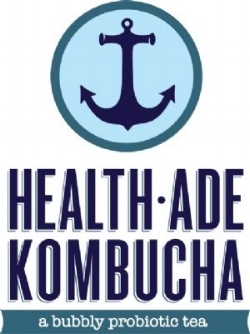 After a day of learning, join your new community of wellness for bubbly cocktails by Itz Spritz and mocktails by Health-Ade Kombucha as you exchange new knowledge and contacts. Meet us at Boston's premier industrial chic event space for a full day conference designed to immerse you in knowledge, challenge you to stretch your understanding, and leave you with tools and skills to tackle your wellness journey anew. Each panel is moderated by a pioneer in the wellness industry who will guide the conversation toward the information that is most important to you. By the end of the day, you will have answers from experts you can trust. For up to the minute details on speakers and schedule sign up here.